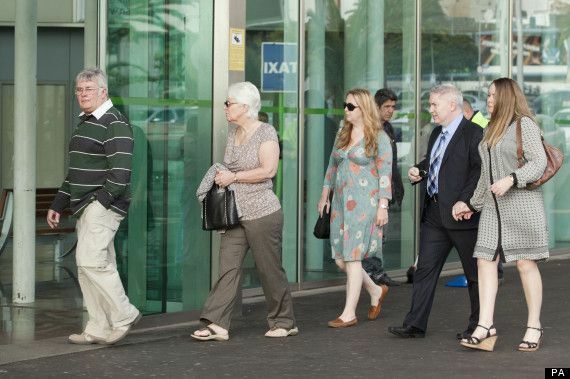 A man accused of brutally beheading a British grandmother in Tenerife was haunted by voices telling him he was "an angel of Jesus Christ who is going to create a new Jerusalem", his lawyer said on Monday. Bulgarian Deyan Deyanov, 29, denies murdering Jennifer Mills-Westley, the grandmother of five, inside a Chinese-owned shop in Los Cristianos. An acute schizophrenic, he did not even know he had been living in Tenerife, until he was told in prison. His lawyer Francisco Beltran told a jury that he "has committed no crime" and was in "total disagreement" with the murder charge. Deyanov hears violent voices due to acute schizophrenia, and claimed they were "direct how I act, sometimes they say kill, fight, hit, pray," he said. After watching CCTV footage of the attack, he said it was "a montage, a film" and claimed that he did not recognise himself in the images. The defendant said he had been using crack cocaine and LSD before his arrest, but had no memory of living in Tenerife. Asked if he knew he was in Tenerife after being brought there from a psychiatric unit in Seville on the Spanish mainland, he said: "I have just found out." He also denied that he had lived in Wales, where he was sectioned in the summer of 2010 under the Mental Health Act at Glan Clwyd Hospital. 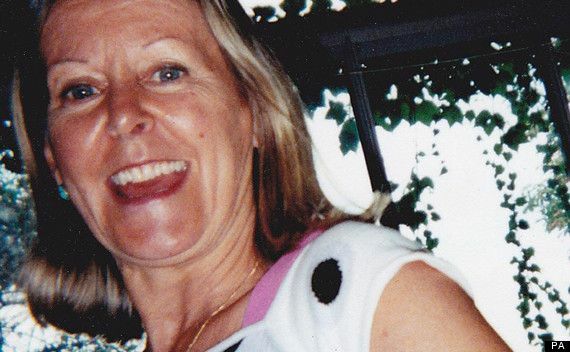 Ms Mills-Westley, 60, was repeatedly stabbed while shopping in the popular resort of Los Cristianos in the Canary Islands, Spain, on May 13 2011. Her daughters, Sarah Mears, 43, and Samantha Gomes, 39, were at the Provincial Court in Santa Cruz for the first day of the trial. As the jury was shown "tough" CCTV footage relating to the attack, Mrs Gomes covered her mouth in horror and stared into the distance. Giving evidence later, Mrs Mears said: "All I want to see is justice done for my mum today." She explained that in the months before her death, Ms Mills-Westley had become worried about safety on the island. "It was nothing specific but she was increasingly concerned that Tenerife was not as safe as when we used to visit 30 years ago." 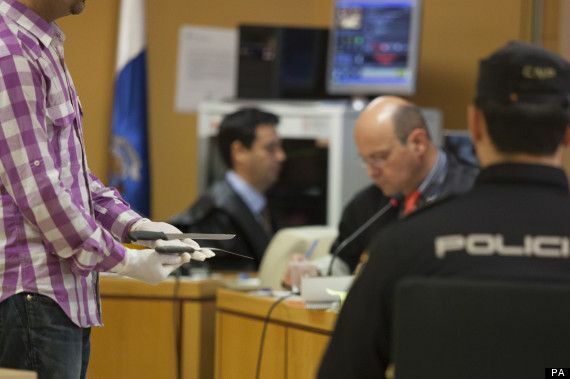 The jury was shown two knives allegedly used in the attack. Both were 22cm long, and one was visibly bent and bloodied. Prosecutor Angel Garcia Rodriguez told the court of the moment the frenzied attack took place. 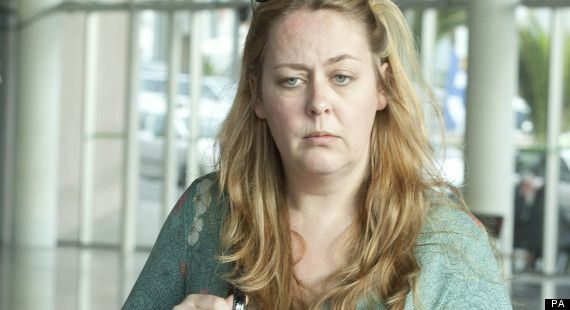 Garcia Rodriguez said: "The accused approached Jennifer Mills-Westley, who he did not know and who was shopping, attacking and striking her repeatedly with a knife in her back and neck until she was completely decapitated." He said the prosecution was seeking for Deyanov to be sentenced to 20 years in a psychiatric unit. Witness Davide Balsamo, an Italian who has lived in Tenerife for five years, described the moment he stumbled upon the horrific scene coming out of a hardware store. He said: "I saw a guy walking around with a head in his hand. "I came out of the shop and suddenly I saw him come off the kerb, completely covered in blood. "I ran up to him and hit him with all my strength using my motorcycle helmet and knocked him silly." Asked if the defendant was the man he had struck, he said "yes", adding that his hair was a bit longer now. I remember this story in the papers. did jesus hook him up with the crack and lsd too? Thank God he didn't have a gun. In fact, it's really good no one had a gun. Imagine what a horrible shootout it would of been. Without guns they could of just poked him with a pair of scissors. Has the CCTV video been leaked onto the web yet? This will now be my standard reply to all stabbings and beatings. That's what I was going to ask.